Tapping into concerns about privacy, some opponents of Common Core have portrayed ﻿the new educational standards as a tool by the government to spy on children and store data on them﻿. And ﻿they aren’t talking about a few test scores here -- but a big ol’ heap of data on every student﻿. "There are ﻿over 300 data elements the government is going to be collecting about your children and about you﻿," said Tim Curtis, an activist with the tea party group 9/12, at a meetingin Tampa about Common Core on Oct. 15. That sounds like a massive amount of data for the government to collect on every child and their families. 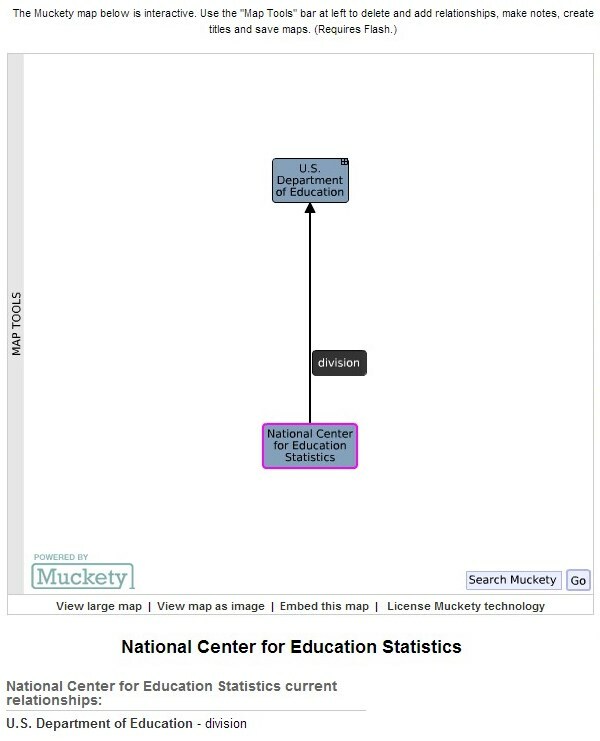 We decided to engage in a little data mining of our own: what type and amount of information will the government collect on students and their families, and is because of Common Core? 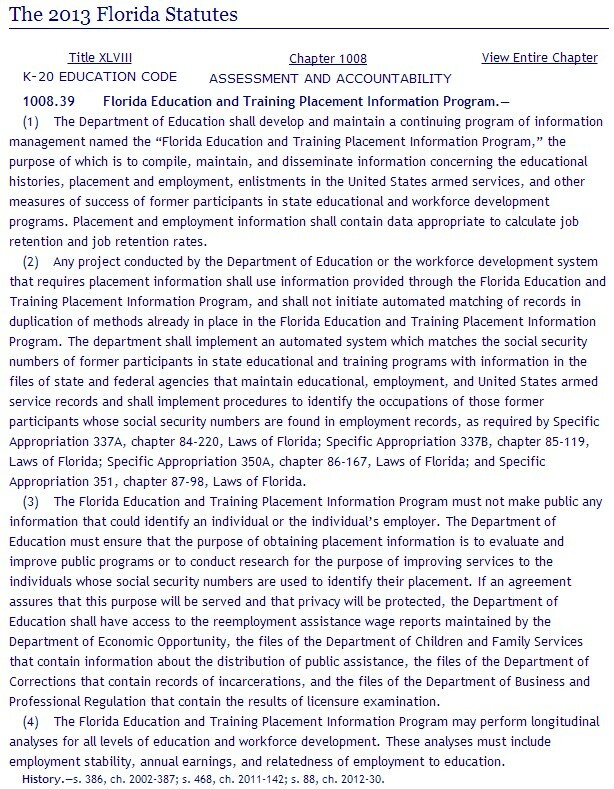 Florida is one of the states that approved Common Core. Amid backlash, ﻿the state Board of Education voted on Oct. 15 not to adopt reading or writing samples associated with the new national benchmarks﻿ -- though local school districts can still choose to do so. 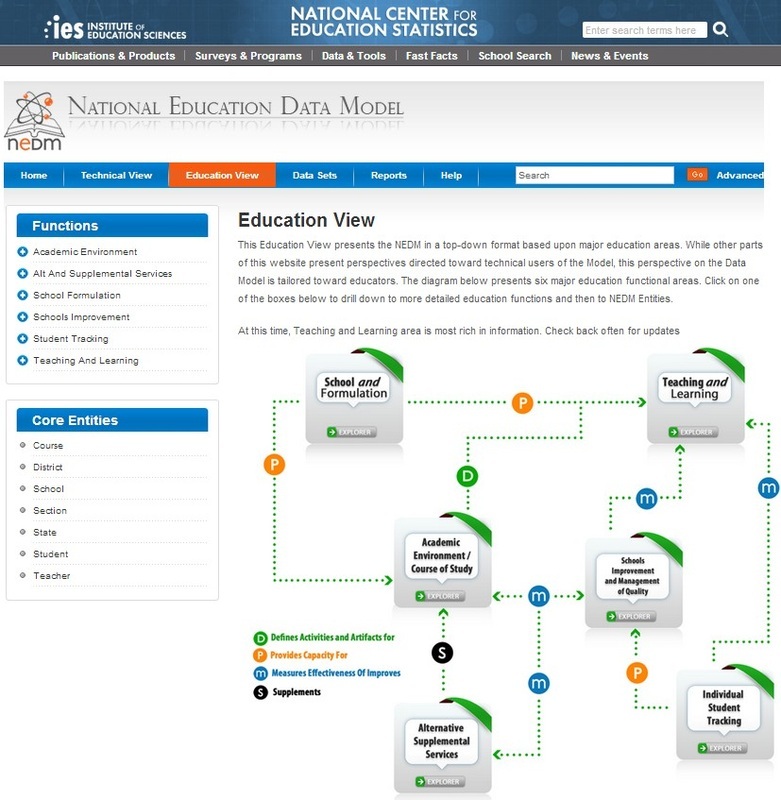 Many Common Core opponents, including in Florida, point to the National Education Data Model to argue that Common Core will lead the government to collect hundreds of data elements on students. 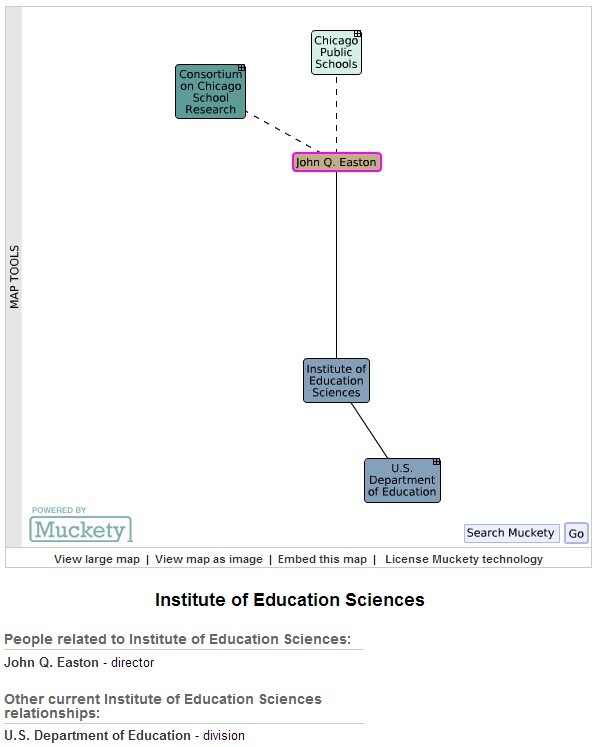 But that data model is just that -- a ﻿voluntary model that states can use for guidance about how to organize student data﻿ that they already collect, said ﻿Jack Buckley﻿, the commissioner of the ﻿National Center for Education Statistics﻿. Helping ﻿states or districts organize their data is something that the feds have done for many years, long before Common Core﻿, he said. "For whatever reason a lot of ﻿Common Core opponents seized upon this as if it has anything to do with Common Core, which it doesn’t﻿," he said. 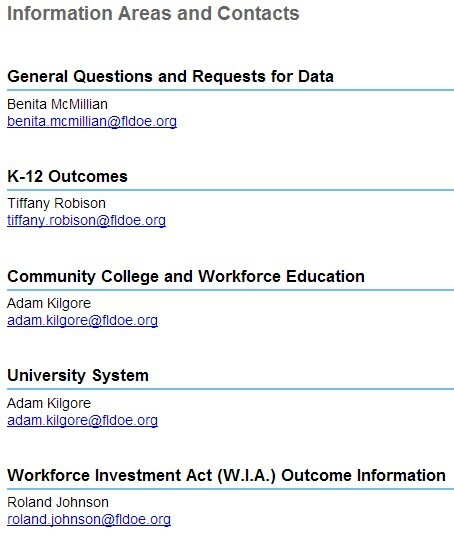 We contacted a few school districts in Florida, including Broward and Hillsborough counties, to ask about their plans for data collection. Officials told us no additional data would be collected because of Common Core. 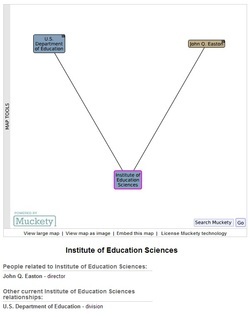 We also found multiple education experts who disagreed with Curtis’ claim, including from former Florida Gov. 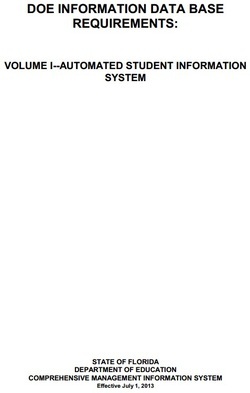 Jeb Bush’s Foundation. The bottom line: States have been collecting data on students -- and sharing it in aggregate with the U.S. Education Department -- long before Common Core. And that doesn’t change because of Common Core. School districts collect students’ names, the classes in which they are enrolled, their reading and math proficiency and whether they graduated on time, said Paige Kowalski, director of state policy and advocacy for the Data Quality Campaign, a national advocacy organization. 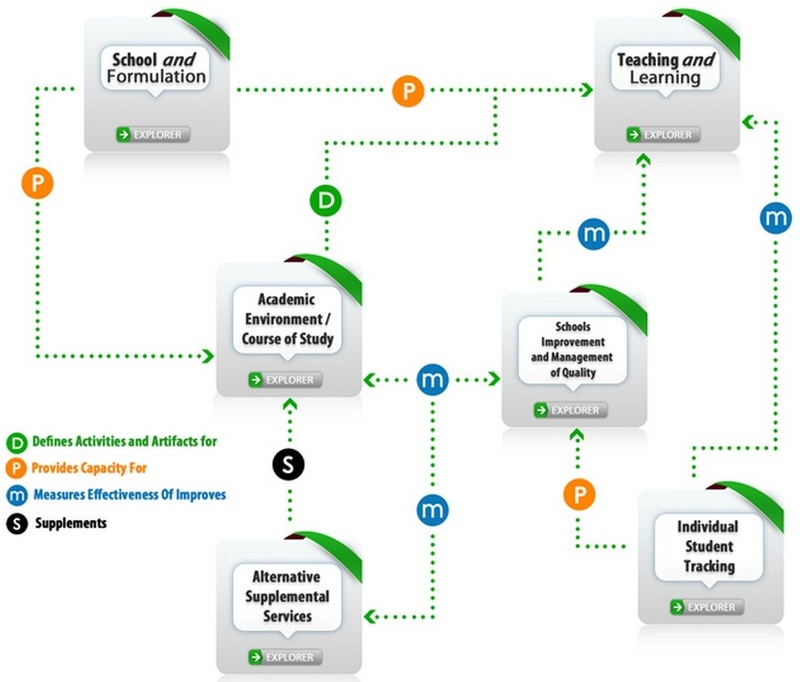 States collect the data to help them make decisions -- for example about tests. ﻿The U.S. Education Department can only access aggregate data﻿ -- for example, what percentage of third-graders in Florida are proficient in reading -- not the test scores of a particular third-grader. That means school districts don’t send student names and other personal details to the federal government. "Absolutely nothing has changed in terms of what the state is collecting from districts as a result of adopting Common Core standards and implementing them," Kowalski said. 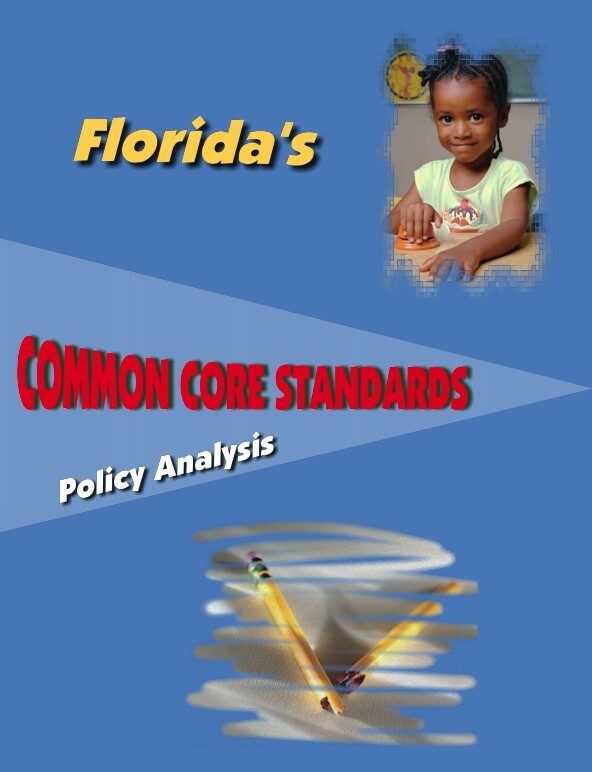 Here’s what is different under Common Core: If Florida and another state both adopt the same standards and assessments, then the tests will provide an apples-to-apples comparison between two states. 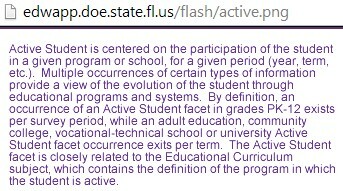 For decades, Florida has required school districts to implement a system that contains student information. And today that list of data is long -- ﻿some of it is required by the state﻿, while ﻿other elements are optional, or only kept at the local level such as bus stop number. That list of data includes students’ race, whether they are homeless, test scores, attendance and many more factors﻿. 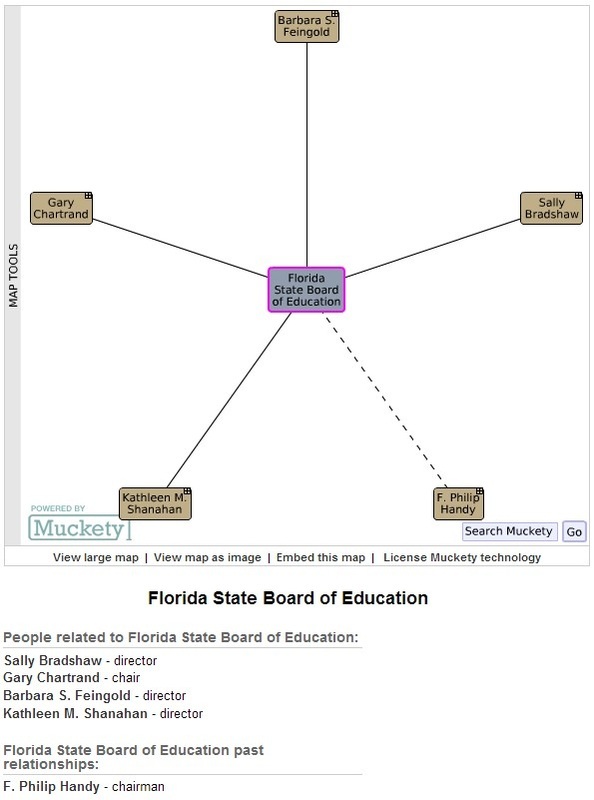 However, "There is no increased data collection specifically linked to Common Core," said Florida Department of Education spokeswoman Cheryl Etters, a point repeated in the state’s fact sheet. 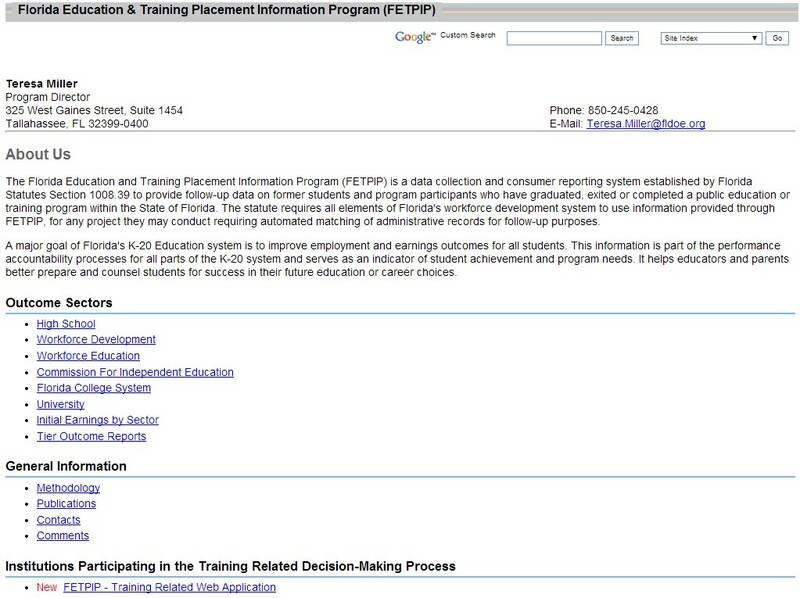 "﻿Florida has no plans to change the data it collects that is linked to Common Core﻿." We told Curtis that educational experts said that Common Core doesn’t require new data collection. "I can shoot that claim down with a single explanation," Curtis said. "﻿The Polk County school district began to do iris screening on school children and they did so without notifying their parents﻿. ﻿They did so as a result of the beginning of the implementation of Common Core.﻿"
According to the Florida Department of Education, the screening was intended to route children onto the proper bus. It didn’t have anything to do with Common Core. "Polk County was piloting a new school bus safety program for students that involved eye scanning, which had nothing to do with the new standards. Permission slips were mistakenly not sent out," the department said. 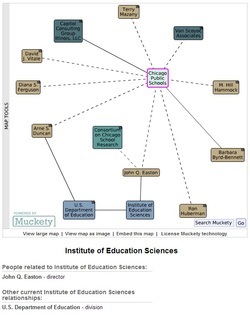 Tim Curtis, an activist against Common Core, said that thanks to Common Core, "There are over 300 data elements the government is going to be collecting about your children and about you." 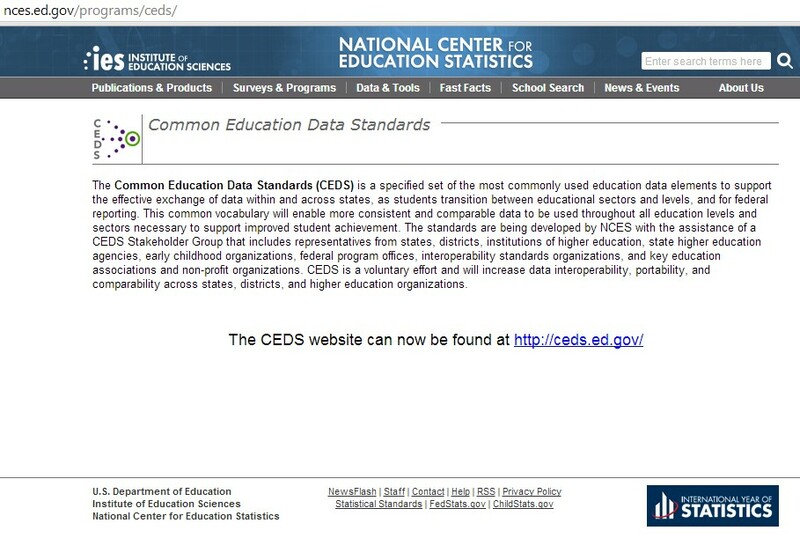 Common Core State Standards do not include new requirements for the government to collect data on school children. 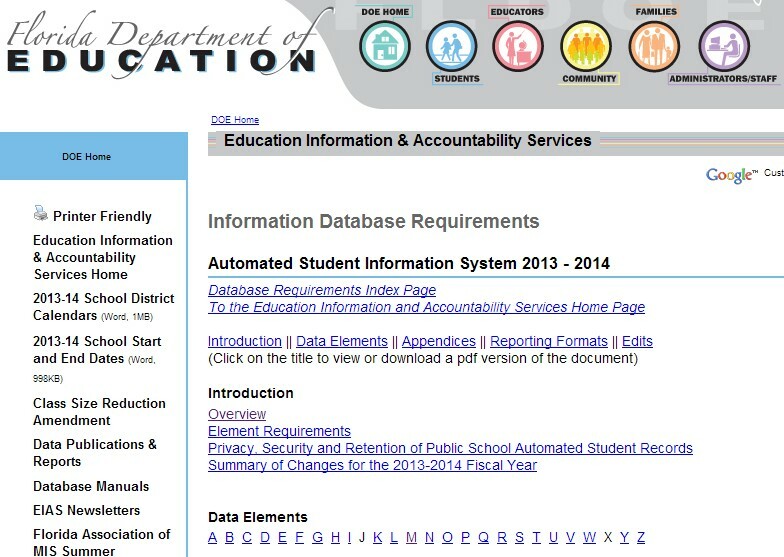 It’s true that school districts and the state of Florida already collect a long list of data on students. That data is aggregated for the federal government, after stripping out students’ personal information, and that data collection doesn’t change whether states adopt Common Core or not. 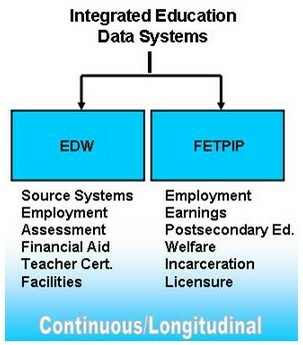 Common Core opponents are mixing two separate issues here: the transition to Common Core and data collection that already occurs. 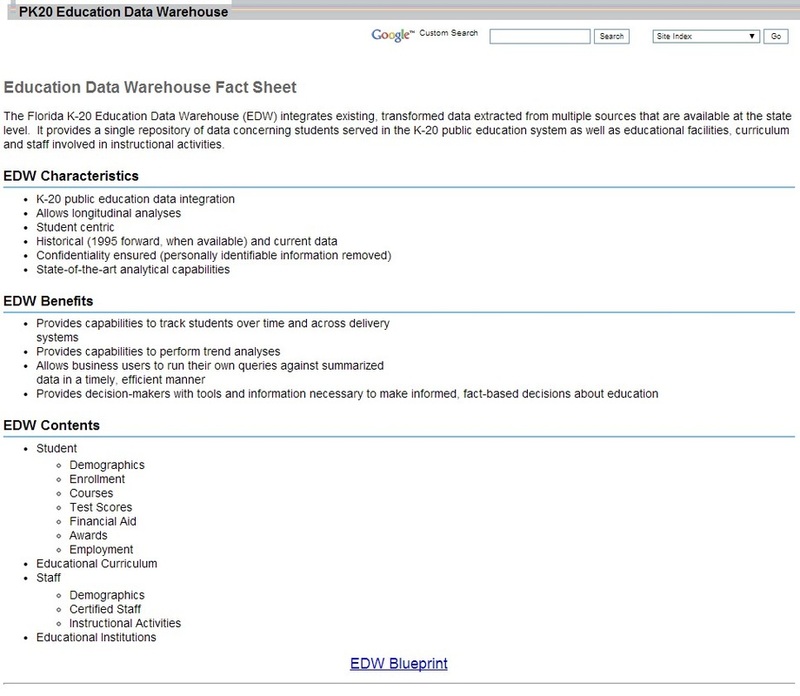 Florida Department of Education EDW integrates existing, transformed data extracted from multiple sources that are available at the state level. 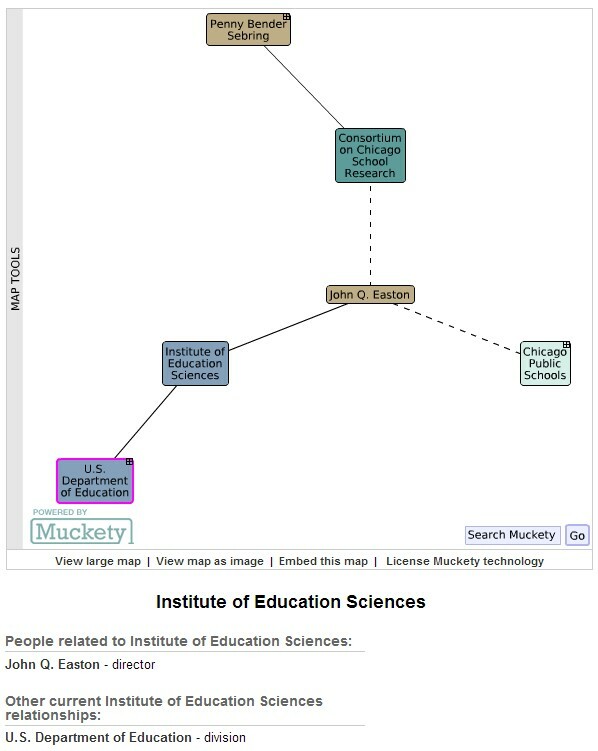 Provides a single repository of data concerning students served in the K-20 public education system as well as educational facilities, curriculum and staff involved in instructional activities. 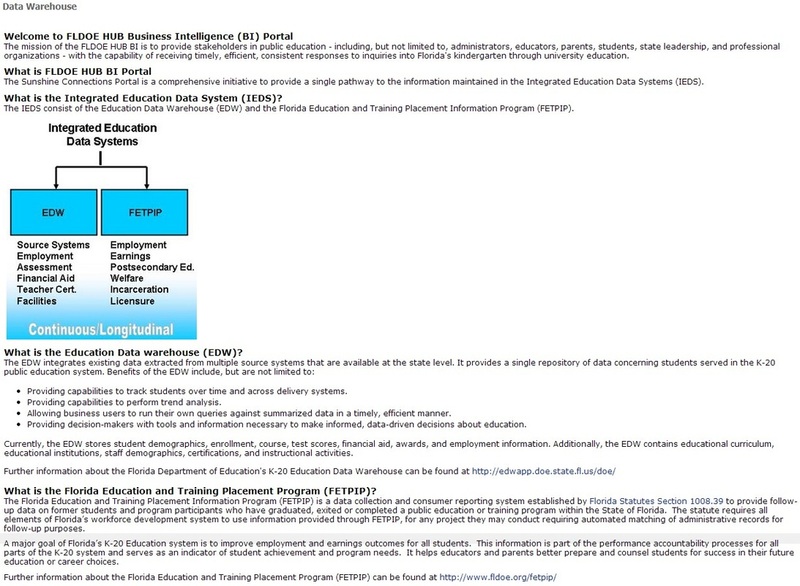 FLDOE Hub Business Intelligence (BI) Portal - The Florida Department of Education Hub BI Portal is a gateway to various sites, reports, and applications that use PK-20 student and/or staff data. 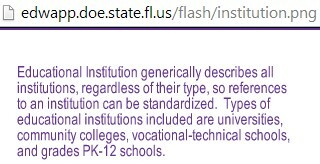 The mission of the FLDOE HUB BI is to provide stakeholders in public education - including, but not limited to, administrators, educators, parents, students, state leadership, and professional organizations - with the capability of receiving timely, efficient, consistent responses to inquiries into Florida's kindergarten through university education.